Turin holds a very important place within the history of Art Nouveau, known as Liberty Style in Italy, because of a major exhibition of decorative arts held there in 1902, the Prima Esposizione Internazionale d'Arte Decorativa Moderna, an event that had far-reaching influence and popularised a taste for an Art Nouveau style in the applied arts. 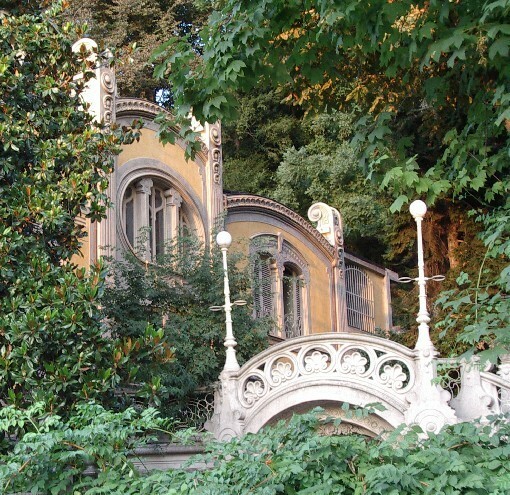 The exhibition was held in Valentino Park and was based on a project by Raimondo D'Aronco. 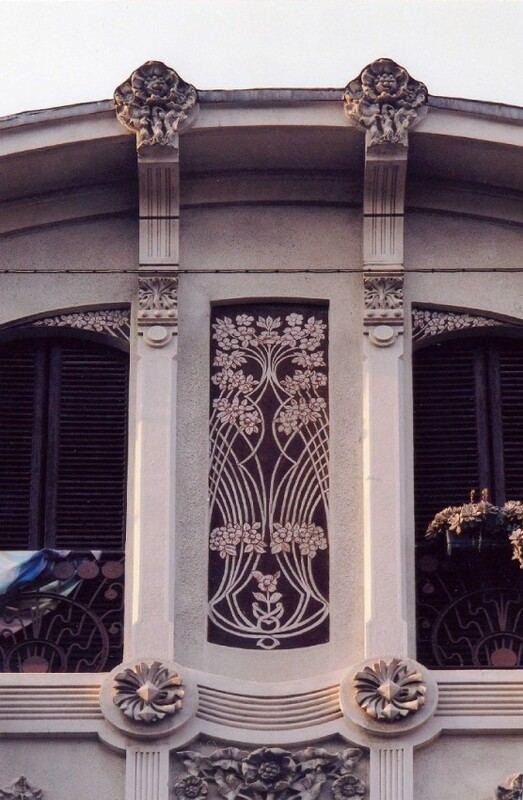 The criteria it was based on were those that dominated the projection of the applied and decorative arts in all manifestations of Art Nouveau: beauty must not battle with function and all objects, from the most precious to the most simple, must be designed from this premise. The city was chosen to host the exhibition because it was modern and industrial in nature ñ its first car companies date back to the end of the 19th century ñ making it one of the reference cities in the unified Italy. The city of Turin was the first capital of the kingdom of King Victor Emmanuel II and played a decisive role in Italian events during the 19th century. Turin's Liberty heritage can be found in two adjoining neighbourhoods northwest of the historic centre: San Donato and Cit Turin. As was common in other cities, the Liberty Style mainly developed in private residences, such as isolated villas or apartment blocks destined to be rented, and was also linked to the modernisation of building techniques. Cast iron combined with glass and reinforced cement structures appear at the same time as sinuous lines and a taste for floral stylisation. The architect who best represents Turin Liberty is Pietro Fenoglio. 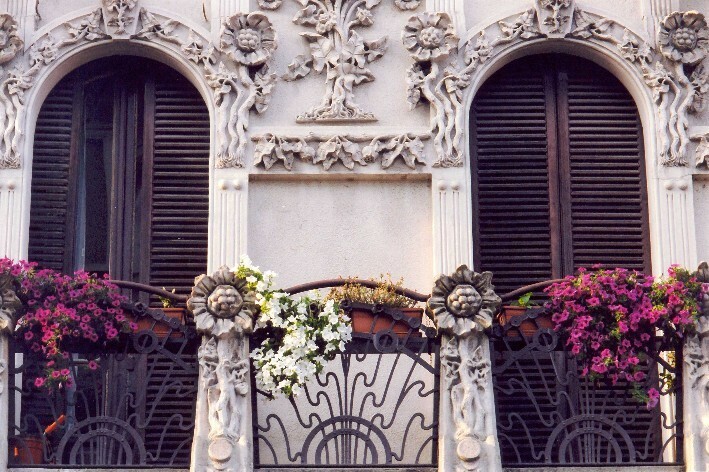 Between 1902 and 1903, he built his most complete work, an apartment block known as ìLa Fleurî on the corner of Corso Francia and Via Principe d'Acaja. It is a three-storey building with bright colour applications on the faÁade and delicate ironwork on the balconies and stained glass windows. Other works by the same architect that should be highlighted include Villa Scott (1902), Corso de Giovanni Lanza, 57 and Villa Rossi (1903), Via Passlacqua 14. Giovanni Battista Carrera should also be mentioned alongside Fenoglio because in 1920 he introduced Art Nouveau elements to an old Medieval palace, the Palazzo della Vittoria, located at Corso Francia 23. 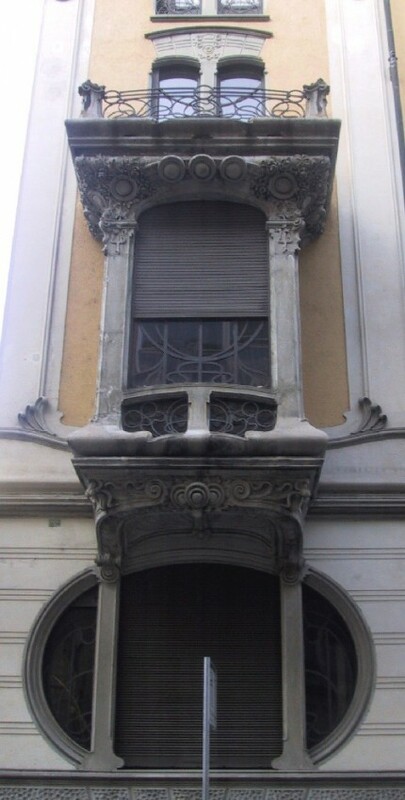 Also in the city is Antonio Vandone's Palazzo Maffei (1909), at Corso Montevecchio 50 with a metal structure by the Milanese engineer Alessandro Mazzucotelli.